Want to know why divorced people have the best advice? They're now able to look at things from a holistic perspective and deal in truth rather than emotions and false expectations. I have yet to meet a married person (happily or unmarried) who hasn't asked why we didn't start Singles & The City sooner! Married, divorced, Therapist, Counselors, all agree that being single is the opportune time to start digging deep, tying up loose ends, and welcoming self-awareness. "Being single and dating is a lot easier when you know who you are." 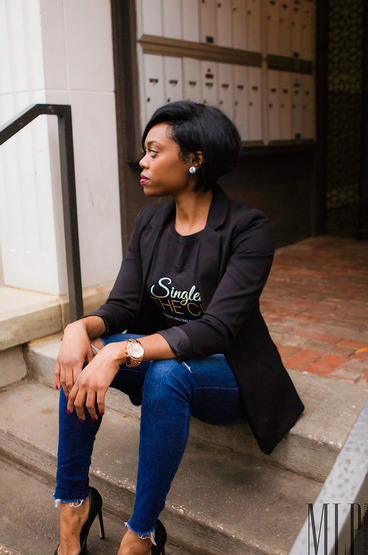 Since 2014, the SATC community has remained the leading singles empowerment social club for single & dating Professionals in Dallas, Austin, Detroit, Los Angeles & Chicago. We understand that "there's more to being single - than dating". Our events empower you to become self-aware, get to the root of your issues, and fix them! Our community welcomes accountability and challenges that take them to the next level of success in every area of their lives. This isn't a movement - this is a mindshift.